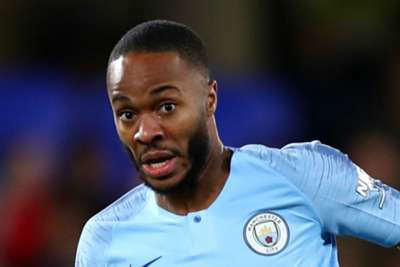 Raheem Sterling used social media to criticise the coverage that black players receive in the media after he was berated by Chelsea supporters in Manchester City's 2-0 defeat at Stamford Bridge on Saturday. Chelsea and the Metropolitan Police launched an investigation in order to establish whether Sterling was racially abused in the incident, with the club vowing to take the "strongest possible action where necessary". The England international posted a message on Instagram along with pictures of newspaper articles regarding Manchester City team-mates Tosin Adarabioyo - who is on a season-long loan at Championship club West Brom - and Phil Foden, pointing to the different way in which the media covered the duo choosing to buy houses for their parents. "I am not normally the person to talk a lot but when I think I need my point to [be] heard I will speak up," Sterling wrote. "Regarding what was said at the Chelsea game, as you can see by my reaction I just had to laugh because I don't expect no better.